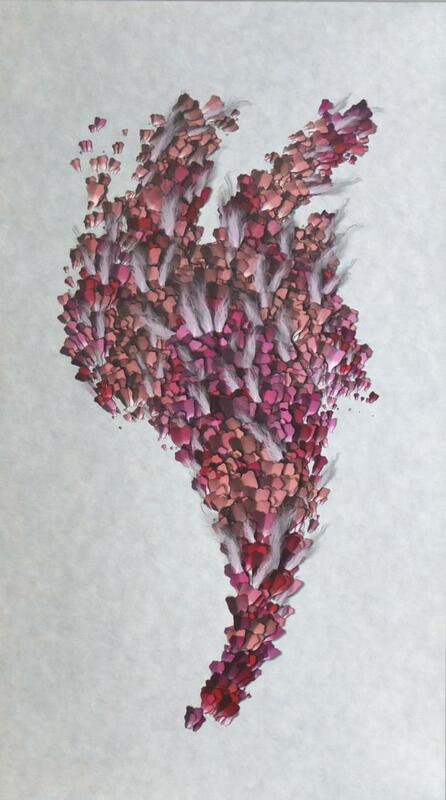 Exhibition: 3 July–10 September 2014, GV Art gallery, London, 49 Chiltern Street, Marylebone, London W1U 6LY. "This exhibition presents 50 years of British art that is generated from strict procedures. The artists make their work by following rules or by writing computer programs. 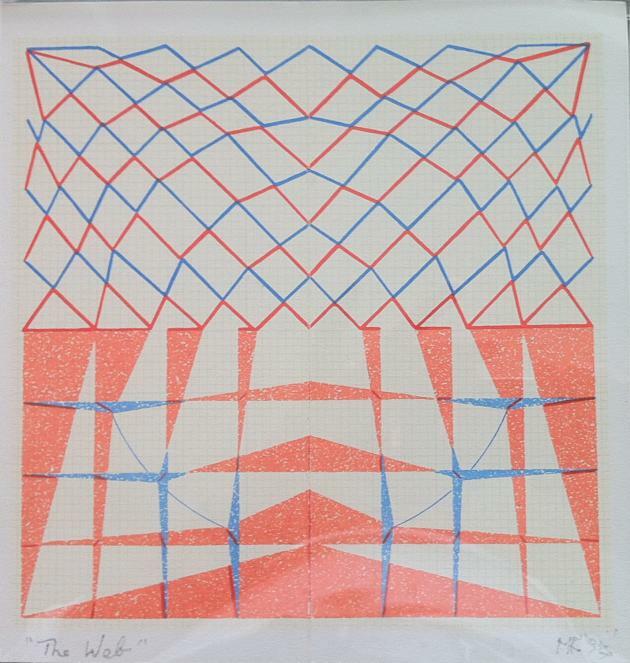 They range from system–based paintings and drawings to evolving computer generated images." 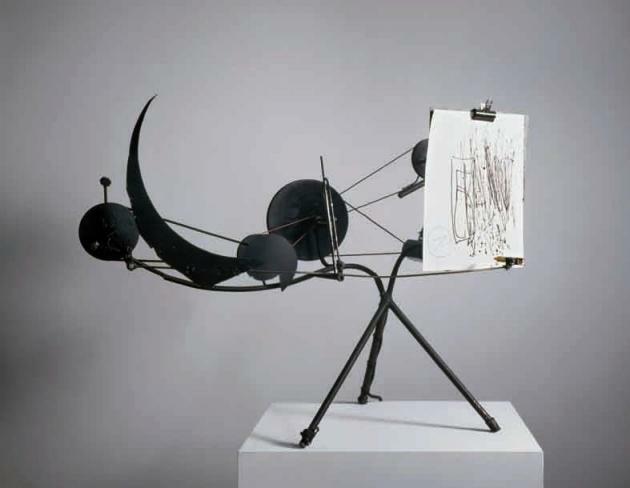 "Jean Tinguely exhibited in a show titled 'Art, Machines and Motion' at the Kaplan Gallery, London, in November 1959. In conjunction with that exhibition, Tinguely held a conference and performance at the Institute of Contemporary Art on November 16 titled 'Static, Static, Static! Be Static!' During the event, 1.5 km of paper drawn by two cyclists on his meta–matic bicycle were spread through the audience while Tinguely read his theory of movement and machines simultaneously heard on radio in Paris." Rosemary O'Neill (2011). Total Art and Fluxus in Nice. "Art and Visual Culture on the French Riviera, 1956–1971: The Ecole De Nice", Ashgate Publishing Limited. "Famous Turkish sculptor İlhan Koman's boat Hulda arrives in İstanbul, its final destination, after its long journey which began in Stockholm. Hulda was both Koman's home and studio during his residence in Stockholm. The exhibition consists of the photographs and videos from Hulda's journey, 10 original sculptures such as Whirlpool and Dervish by İlhan Koman and a video –dedicated to İlhan Koman– by young artist Candaş Şişman. The photographs and videos are from the cities Hulda visited during its journey –Stockholm, Amsterdam, Bordeaux, Lisbon, Barcelona, Naples, Malta, Thessalonica and İstanbul. The exhibition in Plato Art Space is also the final leg of the activities of Hulda Festival (www.huldafestival.org). The exhibition is also undertaking the mission of building a bridge between young generation artists and Koman by presenting Candaş Şişman's work. Şişman's video Flux is influenced by Koman's sculptures (Pi, Moebius, Whirlpool and Ogre) and is dedicated to İlhan Koman's inspiring art. The video has a sound design which is also inspired by the materials of Koman's sculptures and is produced by Candaş Şişman. The exhibition is curated by Yıldırım Arıcı and accompanied by a reader (published by Plato College of Higher Education) and it is featuring texts by Çetin Kanra, Aykut Köksal, Abidin Dino, Ferit Edgü, Burcu Beşlioğlu and a poem by Oktay Rıfat. " Fig.1 "Flux", Candaş Şişman, Hulda Festival 21 September 2010 – 23 November 2010 İstanbul, Turkey. "Dear Computer, is the quest for beauty in algorithmic randomness. 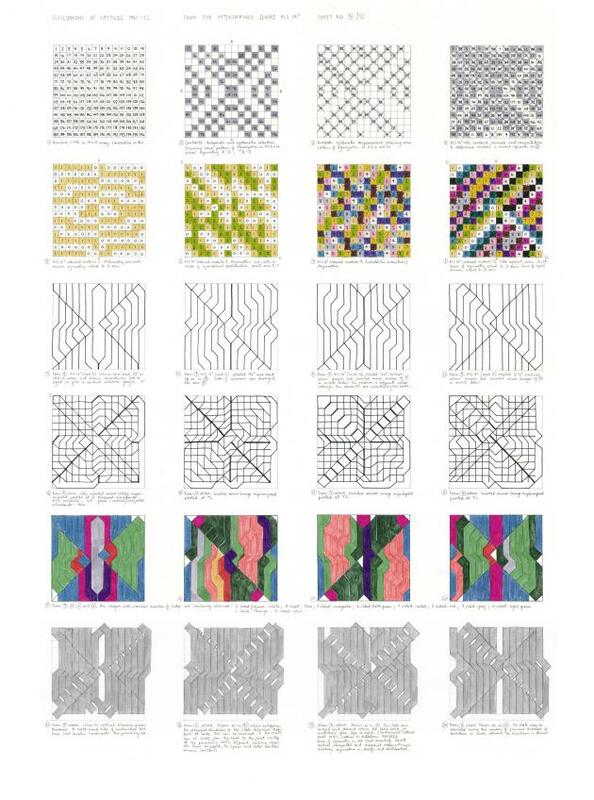 Using various tools we're trying to create surprising results in the field of generative art."